Last month, we spotlighted VoterLabs, the New Haven–based predictive analytics company, and discussed how it was able to use its CTNext Technology Talent Bridge (TTB) grant to compete with much larger companies for sorely needed talent and retain the services of an intern who is soon to become a permanent employee. JV Precision, based in Seymour, similarly took advantage of TTB this past summer to land two interns. 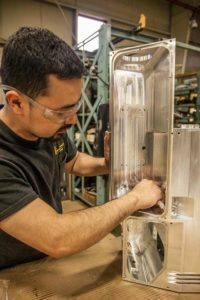 A manufacturer of many different types of metal products, JV Precision touches multiple industry sectors, including aerospace, automotive, firearms, medical and more. Founded over 40 years ago, in 1975, the company of 45 people has always been based in Connecticut. Owner Josef Visinski became aware of CTNext’s TTB program through his association with the Housatonic Advanced Manufacturing Program. His company had not leveraged any CTNext resources in the past. Upon learning that JV Precision was qualified to apply for a TTB grant, Josef was intrigued by the prospect of getting financial support to hire interns. For JV Precision, operating in a highly technical industry, the extra resources provided by the TTB grant not only enabled the company to hire two interns, but also allowed the management team more flexibility and bandwidth to work with them directly. JV Precision has since hired its interns for full-time positions. 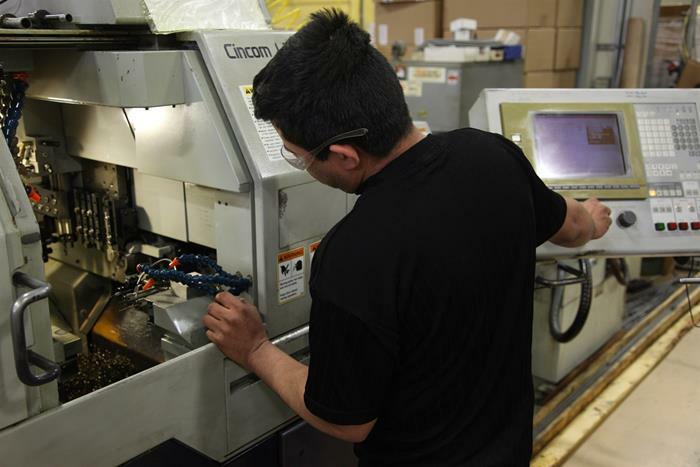 Josef says he would certainly recommend that other qualified, similarly-sized Connecticut companies in need of extra resources pursue the TTB grant as well. For more information about CTNext’s TTB program and to determine if your company might qualify, click here. And click here to learn more about JV Precision.